These are sold individually, two required per car. 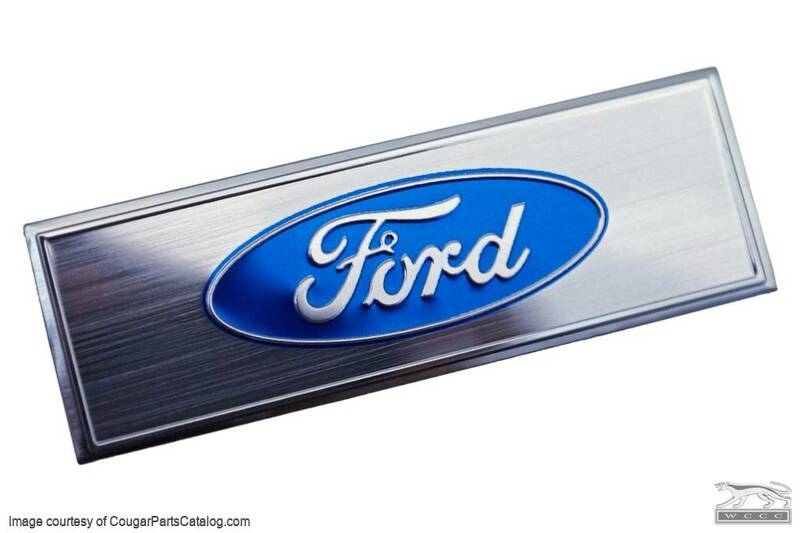 This is the aluminum emblem / decal which mounts on the center of all of the 68-73 scuff plates. Features raised script like original. Adhesive backed with a protective coating that peels off after installation. 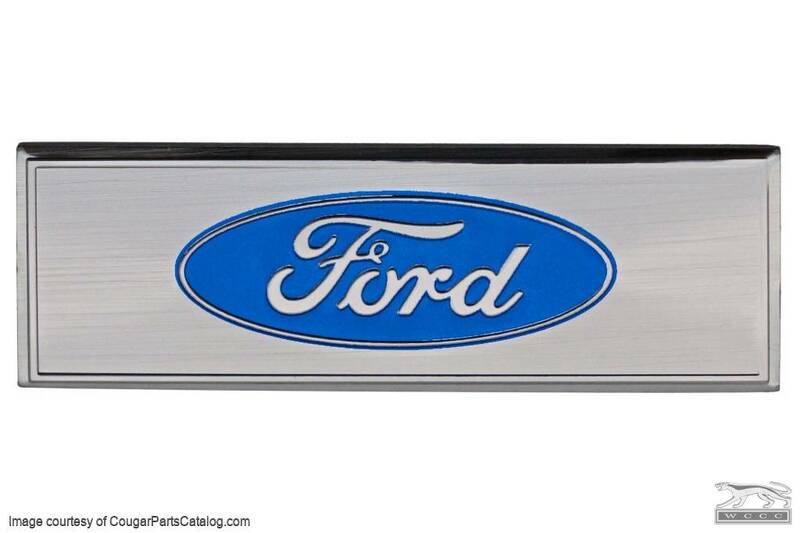 Replaces Ford Part #: C7ZZ-6513208-T.
Quality stick on plate, looks great. Use care when positioning! Really nice reproduction!!! No difference to the original one, except it looks new. I bought the "premium" sill plates. However, it seemed that these were just slightly larger than the area they mount in. I was a little worried I would distort the sill plate by pressing this in.